It is difficult to pigeonhole the music of Entrópia Architektúra. It has been called industrial, ritual rock, experimental, even para-mental. This kind of categorisation recalls Schrödinger’s cat, since the result of the categorisation depends on the process of the categorisation itself; they are using the words and standards of different musical styles only as occasional tools. The Hungarian band was formed 16 years ago as a consequence of a stylistic experiment; they planned a spontaneous and improvised performance based on sound and noise recordings of the renovation works of a hotel (Hotel Royal) in Budapest. Many musicians have played in the band over the years. Their interest gradually turned from improvisation towards the variations of pulsing structures. In their music, they build hard and sensible musical structures based on beat, rhythm, and melody created with metals, industrial waste, and electronic devices. Fundamentally they are trying to open a door to a different, more complex reality by using ritualistic, archaic, even pre-human sounds. In this context, even the human voice works as a musical instrument. Could you introduce Entrópia Architektúra? When and how was it created? 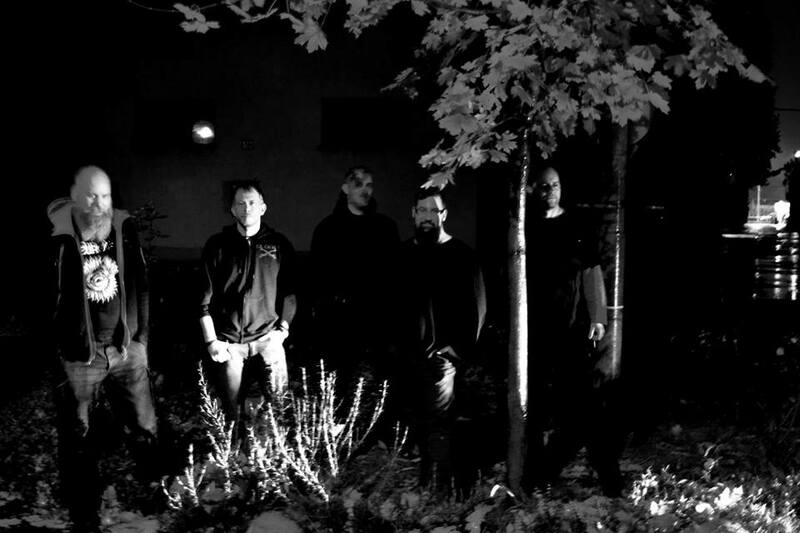 The current setup of the band is: Zoltán Csürke – guitar, József Gnáj – drums, Márton Walch – percussion/vocals, Péter Ratz – bass, and I (NAME) sing and use a sampler. The band was founded around 16 years ago. That being said, Entrópia Architektúra has had different life stages. With a couple of my artist friends, we established a movement called SZ.E.G. (Szabad Emberi Gondolkodásért – For Free Human Thinking), which was the legal entity behind the so-called L’art contre l’art / Art Against Art creative project at that time. Our logo was a nailed silhouette of a human face, created by our drummer, József Gnáj. The band decided to pursue the legacy of futurism and the avantgarde movement through collective music-making. We were good friends and mostly visual artists. We painted, sculpted, organised exhibitions, and argued at night. Our first performance was called Royal Destroy. We were inspired by the demolition sounds of the Hotel Royal in Budapest. One of our band members made a 12-hour recording from a neighbouring window, capturing the reconstruction/destruction of that building. We complemented these sounds on stage with guitar, bass guitar, oil containers, and aggressive metal-like vocals. The audience consisted of old people who didn’t understand what was happening, but were too scared to speak out of shock. This experience profoundly impacted our work. We are not interested in any aesthetic value when it comes to creation. The name Entrópia Architektúra as well as the SZEG movement were created with the motto: “The Human is a process affecting his surroundings which represents a constant change to his non-independent reality. He gives simplified form to nature, which re-conquers with the power of its chaos after man is gone. What makes the idols of purpose and their ruins beautiful, and moulds them into an aesthetic framework for us?” Over the last 16 years, we’ve remained faithful to our name ­ creating from chaos, deconstructing, annihilating, and creating anew. Were you influenced by anyone in particular, eg. Einstürzende Neubauten, with their use of various industrial objects, or industrial music in general? We’ve been influenced by numerous music styles, but we try to retain our independence. We have a compulsion to avoid using themes played by others and we do not follow any underground genres. This is of course impossible. We’ve been compared to Einstürzende Neubauten/SWANS/Throbbing Gristle/Coil/PTV/SPK/NSK; to raw, industrial music. We were very much influenced by Neurosis, power electronics, harsh noise, noise-core, neofolk, as well as the folk music of our neighbouring countries, avant-garde jazz, and contemporary classical music. At the moment, we create in a sphere where few other bands dare to venture. This makes our existence more difficult. If you don’t follow a certain style, at least in Hungary, it’s difficult to reach the public. We’ve tried to get closer to people, but since they weren’t able to place us into a specific category, they didn’t come to our concerts. In 2016 we did a little experiment. We organised a series of club concerts called Reign of Fire, where we invited peripheral artists to perform month by month. We wanted to establish a music scene similar to the Belgian Church of Ra , though neither the bands nor the audience were ready for such an endeavour. We still collaborate with other projects though, such as Horhos and Oaken. Could you talk about the ritualistic aspect of your music? A certain primordiality is crucial for Entrópia Architektúra. Interestingly, the sacred and the material play an equal role in our work. The two worlds collide and sometimes clash. We work with sacred, ritualistic elements but we use them as words and letters in writing. The end result is a collage, which reveals its parts, but where each of its elements is sincere. We constantly allude to primordial conditions via new systems formed during the deconstruction process. All of that can be understood without any previous education or sacred knowledge. This can best be witnessed in our lyrics, which are not oriented towards a meaning. English, Hungarian, Sanskrit, Pali, Italian, Korean, and Arabic languages are used, bearing complex meanings and resulting in occult, sometimes religious texts created in a respectful way. The lyrics are in a perpetual battle with the tempest of the noise, and only broken shreds reach the audience. This is not a side effect but the purpose itself. We embrace these rituals and channel them genuinely to the audience, but we do also break with them. Could you talk about how it’s materialised live on the stage? Our rehearsals and concerts only differ because of the presence of the public. In the beginning, we improvised a lot, which isn’t the case nowadays. We take everything we do seriously, both at the concerts and at rehearsals. When it comes to music-making, someone from the band will come up with a theme, and the others react to it, adding their own thoughts. It’s a wonderful experience. There’s nothing else to do than to actualise personal thoughts on stage. The audience connects at that point and it becomes a ritual. This is what’s worth living for. This atmosphere then develops further and the stage sound techniques push this experience forward amazingly. We recorded a new album in April, in an exterior, forest environment. The forest is an exceptionally pliable space even when it comes to loud music. The recording process became such a ritual that everyone fell asleep exhausted at 8pm. Does the ritualistic aspect of your music have specific cultural roots? Our perception originates from a condition before time and boundaries existed, and from the collective memory of the entire human race. We use texts from rituals of the Tibetan Vajrayana Buddhism quite often, despite the fact that we – the singers – both practise Zen Buddhism (I follow the traditions of Vietnamese Master Thich Nhat Hanh while Marci follows the path of early Zen traditions). The other members follow completely different beliefs. Tibetan elements, Mahakala, are well suited to become our form of expression. We also use other resources such as Sufi texts, imagination of our own dreams, and parts of the Gilgamesh Epic. These things are more ancient than the shape of the world as we know it. What in particular interests you here: the energy, tranquility, or trance? This is a very good question. Honestly, I don’t know. It’s also a question I ask myself. And it will remain a question because it cannot be answered with conclusions in a dual system. Although that particular state which attracts us, much like fire draws a bug at night, can be achieved. This is some kind of trance. We create something from various elements, articulating our visions and engendering our rituals, which brings us to a higher state of consciousness. It’s some kind of catharsis; an intimate bond between the band and the audience, and momentary creation and experience. This can be compared to a trance-like state, a flow of energy. There’s no polarity in the energy at this point. Joy, shock, and silence are equally important.